The Pulse: Puerto Vallarta restructures its Conventions and Visitors Bureau. Puerto Vallarta, one of Mexico’s premiere business travel destinations, has restructured its Convention and Visitors Bureau (CVB) in an effort to increase outreach, assistance and promotion of the destination through meetings, incentive travel and conference markets. The entity will be headed by executive director Miguel Andres Hernandez, who served as president of the Puerto Vallarta’s Hotel Association Tourism Board from 2010 to 2012, and GM of Puerto Vallarta’s Garza Blanca Preserve, Resort & Spa from 2009 to 2012. The CVB will promote tourism development in the region and act as a liaison between international and local businesses and governments as a way to facilitate and attract international meetings, conferences, events and incentive travel to the city. The Puerto Vallarta Tourism Board has been promoting the city’s infrastructure in the business travel market as part of its promotions and public relations campaigns. As a result, Puerto Vallarta is currently in an alliance with the Mexico Tourism Board, participating in conferences and events such as AIBTM, IMEX and MPI in 2013 and this year and becoming an MPI Preferred Partner in April. The CVB will take these initiatives further by providing meeting planners a direct contact to work with when bringing events and programs to Puerto Vallarta. Hernandez and his team will be able to offer presentations on the destination’s infrastructure and offerings, support and answer RFP’s, provide welcoming collateral and assist in obtaining permits within the city and support from local, State and Federal governments for bigger conferences or events. This year the destination will once again be holding Vallarta Meetings, Puerto Vallarta’s special educational trip for US and Canadian meeting planners, from Nov. 10-15. 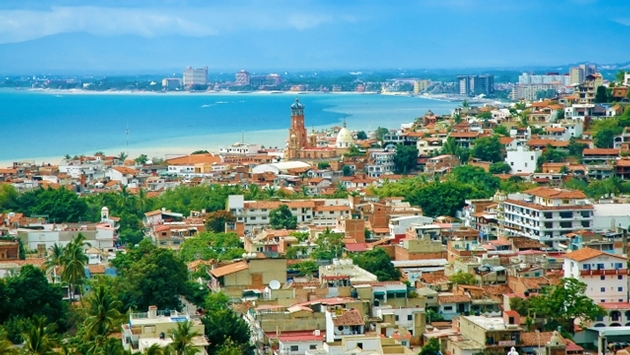 To learn more on this initiative please visit http://www.visitpuertovallarta.com/vallarta-meetings.